What’s better than dressing up for Prom and sharing with friends? Nothing! With the Prom Princess, you can relive your best prom moments! Or if you haven’t gone, prepare for it! Have a full makeover and wear a beautiful dress to share with your friends and have the full prom experience! Hundreds of hair, makeup, clothes, and accessories to choose from! Share your Prom Princess with friends and family! 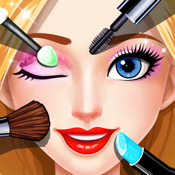 Unlock more ways to dress up your Prom Princess, there’s no limit!